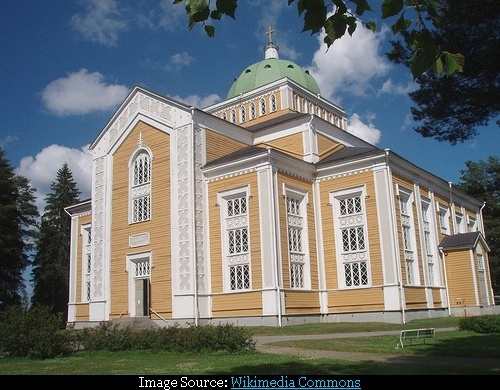 Kerimäki, a small village in Finland, boasts of the largest wooden church in the World with a seating capacity of 3000 persons and overall assembly capacity of 5000. 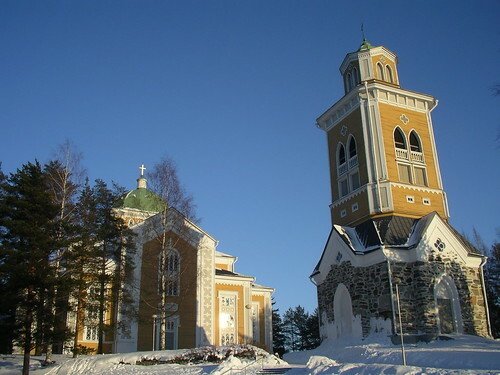 It is also the most spacious church in Finland. 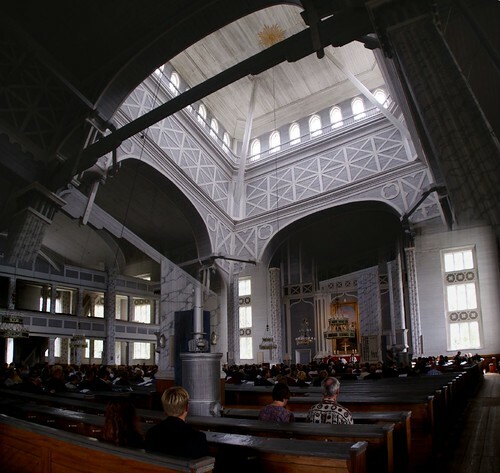 Designed by architect A. F. Granstedt, the Church has a length of 45 meters, width of 42 meters and a height of 27 meters. At the time of its construction it was considered a carpentry marvel. Completed on September 25th 1847, it was consecrated on June 11th 1848. 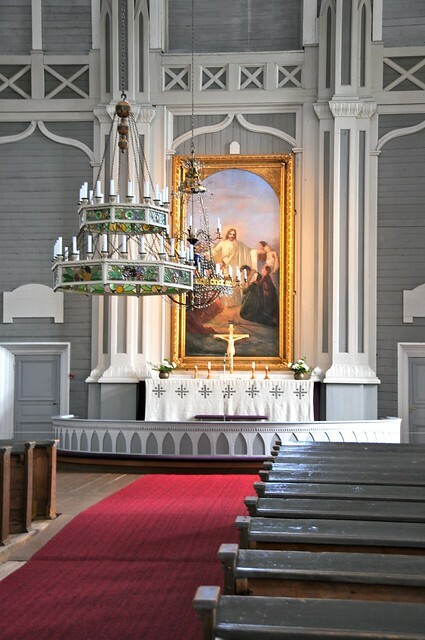 Because of extreme cold conditions the services in the church are held only during the summer months. In winter the services take place at a nearby smaller church which was built in 1953. However on Christmas morning the parishioners gather inside the huge church and light up hundreds of candles, making the interior warm enough for the congregation.